In this week’s newsletter, I will unpack the various sections of the IGrow Wealth Plan for you in more detail so that you can gain a better understanding of just how comprehensive and beneficial this plan is for investors, and why it is the world’s number one wealth plan. This plan is entirely about your financial freedom and early retirement as a property investor and is revolutionising the retirement industry as we know it. It is a fresh approach to thinking about and planning for your retirement. It’s a movement, aimed at allowing you to retire years earlier than expected, completely financially free. After gathering your basic details, we calculate the rand amount of monthly income you will need in today’s terms at retirement, and the exact lump sum you need in order to receive that income, which is linked to inflation in today’s terms. Here we evaluate and analyse your existing investment portfolio and the growth rates on these investments to see if they are adequate for your early retirement goals. This section provides a comprehensive overview of your current property portfolio, to determine whether or not the property is performing adequately in order to generate the future cash flows in your retirement. Here we evaluate how the future income tracks against your desired income during retirement. We consider the impact of combining invested capital in conventional investments as well as rental income. By combining the correct investment properties – investors will prolong their investment fund’s longevity into retirement. We ensure we minimise the risk of capital depletion at and after retirement. We will determine how many properties, and what type of properties are required to achieve the required cashflows in retirement at a specific period in time. This is vastly different from the typical recommendation a tradition financial planner will give an investor in order to meet the potential shortfalls in retirement. The key to acquiring property is effectively managing disposable income and eliminating expenses that are not necessary. In this section, we provide a holistic and strategic financing strategy to build your asset base, by leveraging gearing, also called bond finance. Using the internal rate of return we compare an investment property’s return to a traditional investment vehicle such as pension funds, retirement annuities, unit trust and share portfolios. We compare the future values for both capital invested in conventional investments vs investment property. For example, the same R744 000 invested in a unit trust vs a geared property portfolio at the same growth rate of 8% per annum over a 20-year term will yield a R3 472 665 future value from a unit trust. On top of the actual plan itself, we offer you access to IGrow’s highly qualified chartered accountants, certified financial planners, trust attorneys, tax specialists, property investment strategists, rental managers, a maintenance team, as well as financing and home loans consultants to support you on your journey to financial freedom. General Manager: Property Portfolio Planning. Sean is the Head of Property Portfolio Planning, overseeing all the investment plans and advice provided to investors. 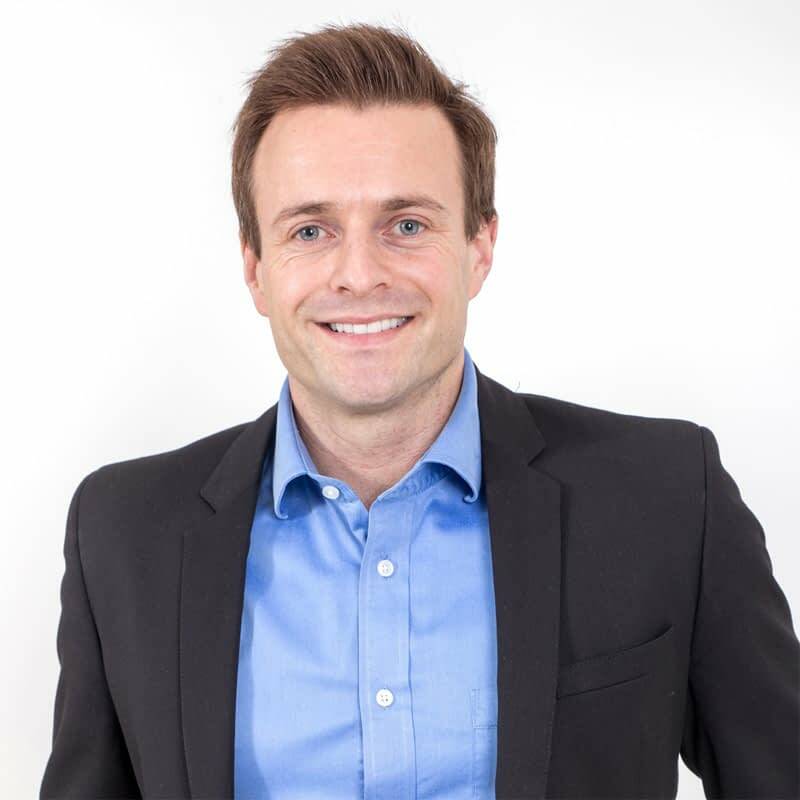 Sean is a Certified Financial Planner® registered with the Financial Services Board (FSB) as well as the Estate Affairs Agency Board (EAAB). In addition, he is a member of the Fiduciary Institute of South Africa (FISA) and Financial Planning Institute of South Africa (FPI). Our goal is to help you retire years earlier, so that you can live life on your terms, with a passive income stream giving you the freedom and peace of mind you deserve whilst ensuring you leave a legacy to your loved ones. Get the world’s number one wealth plan and team today.